25 (NR). Penn State (6-2) – I resisted putting them in my rankings last week after beating Ohio State out of principle. Any team who loses by 39 doesn’t deserve to be ranked, but there simply aren’t enough worthy teams. Plus, their offense has gotten going recently. 24 (NR). USC (5-3) – Sam Darnold makes them a completely different team offensively. They will be a tough out for any team. 22 (25). Oklahoma (6-2) – The Sooners destroyed the Jayhawks on Saturday. They are really rolling offensively, but unfortunately their loss to Houston is looking less like a quality loss these days. 19 (NR). 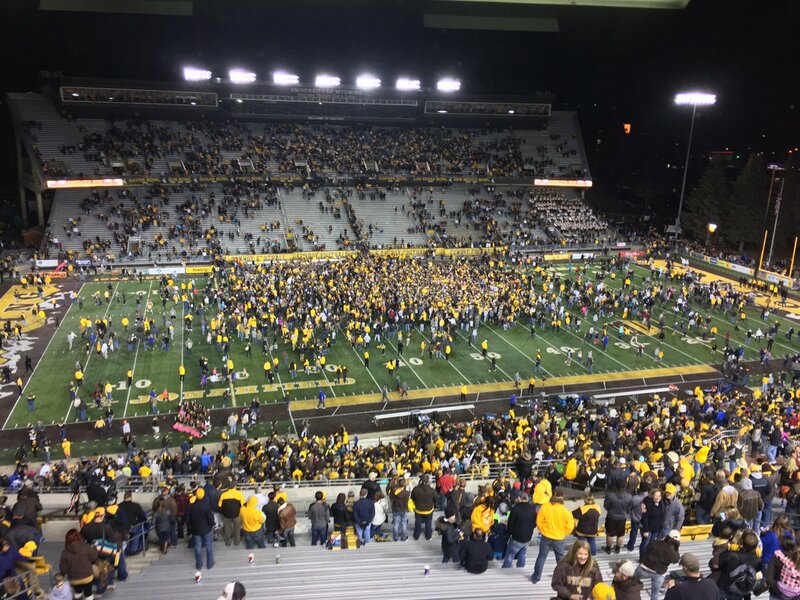 Wyoming (6-2) – Their monster upset of Boise State really says something about where Craig Bohl has this program. Their only losses were to Nebraska and a much improved Eastern Michigan. 18 (18). Florida (6-1) – It’s difficult to really take too much stock in this team. They have not looked impressive in any individual game, except in the first 3 quarters of their loss to Tennessee. And they postponed their only game that could have been considered a true test. 17 (16). Washington State (6-2) – The Cougars look the part, but they just cannot put teams away. That is going to be detrimental when they face the class of the Pac-12 (Washington). 16 (12). Boise State (7-1) – Boise losing in Wyoming isn’t necessarily a terrible loss, but it is a confusing one. Most of their struggles in 2016 have been at home, not against division rivals on the road. They have typically flexed their muscles in those instances. 15 (10). Utah (6-2) – They hung tight with Washington at home, which shows that they were actually underrated by the polls coming into the week. 14 (6). Baylor (6-1) – The Bears, on the other hand, had a disgusting loss to an awful Texas team. 13 (20). San Diego State (7-1) – The Aztecs have absolutely steamrolled every team they have played, other than during that strange loss to South Alabama. They are our clear Group of Five favorite right now. 12 (15). Auburn (6-2) – Auburn has really gotten going recently. They run game is looking as impressive as it ever has under Malzahn, even though they don’t have a running threat under center. 11 (7). West Virginia (6-1) – Losing at Oklahoma State provides no shame for the Mountaineers. The Cowboys might actually prove to be the most complete team in the conference when all is said and done. 9 (14). Texas A&M (7-1) – They had a cupcake game this week and benefit greatly by several teams above them getting take down. Their loss to Alabama was not exactly a great showcase for the team, but they are still as good as any other team in the SEC. 8 (8). Nebraska (7-1) – They lost in overtime to Wisconsin, where they actually controlled much of the game in every way except the scoreboard. I have a hard time downgrading them at all, but you can’t really move up for a loss. 7 (9). Ohio State (7-1) – Ohio State avoided back-to-back disasters by sneaking by Northwestern at home, setting up a huge top 10 game next week with Nebraska. 6 (5). Louisville (7-1) – Eventually, Lamar Jackson is going to taste defeat in one of these games. A close game with Virginia is an absolute embarrassment. 5 (11). Wisconsin (6-2) – Wisconsin has now managed the toughest schedule maybe ever with just two losses, one of which was in overtime. 4 (4). Clemson (8-0) – Clemson survived yet another close game with an inferior team. There’s a lot of 2014 Florida State in this team. They might get blasted in the first round of the playoffs by a real team. 3 (3). Michigan (8-0) – No rivalry upsets here. Michigan is as tough as any team, and when their offense is working, they are virtually unbeatable. 2 (2). Washington (8-0) – A ranked win on the road? Winning the game down the stretch? Style points? The Huskies are every bit as worthy of the top ranking as Alabama. 5. Syracuse at Clemson (#4), 12:30PM TBD – It is a weak slate of games, so this is the type of game that must be highlighted. Cuse is coming off a bye, and following the FSU win for Clemson, this could be a game where they could come out a little sleepy. 4. Georgia Tech at North Carolina (#23), 9:30AM TBD – Georgia Tech is much better than they were a year ago, and North Carolina is not immune to putting up a stinker. 2. Alabama (#1) at LSU (#21), 5:00PM CBS – The game that has become one of the biggest rivalries in the game puts one team up as playing spoiler. LSU is absolutely capable of winning this game the way Leonard Fournette is playing. 1. Nebraska (#8) at Ohio State (#7), 5:00PM ABC – Nebraska is coming off a heartbreaker, and Ohio State is coming off a near upset. This game will say a lot of about these two teams. 5. Deshaun Watson, QB, Clemson – His team keeps winning, and he was a finalist last year. That should be enough for an invite by the near-sighted Heisman trust. 4. Donnel Pumphrey, RB, San Diego State – He is the best running back in the nation. He has gone over 200 yards a handful of times this year already. 3. Jabrill Peppers, DB, Michigan – He is padding his stats with goal line touches. 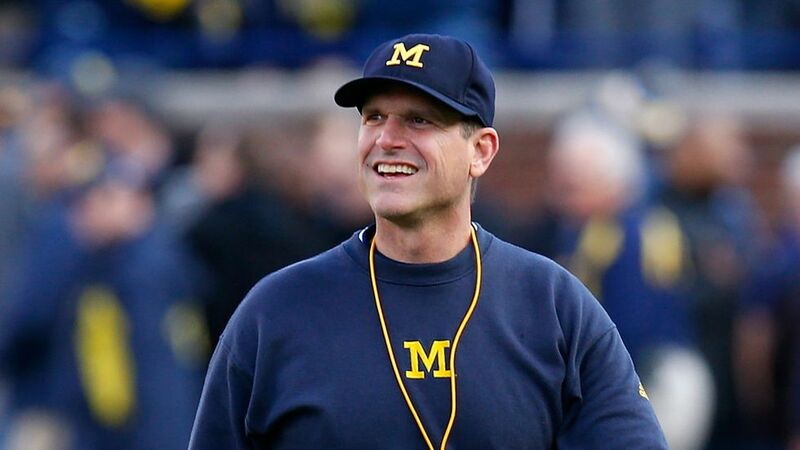 Harbaugh is doing everything he can to bill him as Charles Woodson Part 2. 1. Lamar Jackson, QB, Louisville – It is almost like he lets terrible teams hang around so he can have that drive where he showcases his legs and huge arm. It’s almost unfair. What does your top 10 look like after all the chaos? Can anyone beat Lamar Jackson in the Heisman race? Comment below. 25 (NR). Pittsburgh (5-2) – James Conner and company are really living on the edge, but they are hanging around in the ACC Coastal. This is the type of team that a Clemson or Louisville doesn’t want to see in the ACC Championship. 24 (NR). Arkansas (5-2) – Arkansas is a hard team to figure out. Week by week they are either a top 15 team or a team that should not receive votes. 23 (NR). North Carolina (5-2) – The Tar Heels are as Jekyll and Hyde as any team. They had a nice win over Miami this week. 22 (NR). Colorado (5-2) – Colorado rebounded from getting beat by USC with a whipping of a 5-1 ASU team. 21 (NR). Washington State (4-2) – Just like in 2015, WSU has completely put behind an FCS loss and is a threat in the PAC-12. 19 (NR). Florida State (4-2) – The Noles look much better these days. I can see them really giving a fight to Clemson in that monster matchup. 18 (25). San Diego State (5-1) – After losing to South Alabama, Donnel Pumphrey has gone off and reestablished The Aztecs as a potential Group of Five representative in the New Years Six. 17 (21). Toledo (5-1) – Toledo is potentially even better this year than last year when they upset Arkansas. This is a team to keep an eye on. 16 (NR). Florida (5-1) – Florida isn’t really a good enough team to be ranked this high, but there really is no one else with 1 loss in the power 5. 15 (14). Houston (6-1) – Houston survived one of their toughest conference matchups by hanging on late against Tulsa. 14 (16). West Virginia (5-0) – I still don’t really buy West Virginia, but their defense really showed something by shutting down Texas Tech in Lubbock. 13 (13). Utah (6-1) – The Utes are flying under the radar, which is exactly where they want to be. They host the Huskies in two weeks. 12 (11). Western Michigan (7-0) – Western Michigan would be an easy Group of Five team any year, but when you have dynamite teams in Houston and Boise State, they might unfortunately get left out, despite two Big Ten wins. 11 (10). Boise State (6-0) – The Broncos aren’t as good as they were under Petersen, but this is the best team they have had since. They should roll through the MWC and get a crazy showdown with San Diego State in the title game. 10 (8). Wisconsin (4-2) – It’s hard to justify dropping them at all, but a second loss is a second loss, even if it was to the best team in the country in overtime. 9 (12). Nebraska (6-0) – Nebraska finally had a decent test on the road, and they survived. 8 (9). Baylor (6-0) – The Bears are a dark horse team for the playoff. No one wants to admit it, but they likely control their own destiny, barring the long shot chance that every conference has an unbeaten team. 7 (7). Louisville (5-1) – They struggled mightily on Friday night against a weak Duke team. They were not the same team they were before their heartbreaking loss at Clemson. 5 (3). Clemson (7-0) – The Tigers had to hold on and get lucky that NC State has no kicker in order to remain undefeated. The Wolfpack usually close those games out. 3 (5). Alabama (6-0) – The Tide absolutely destroyed Tennessee in Knoxville. Finally! We don’t have to hear about that team’s magical comebacks anymore! 1 (2). Ohio State (6-0) – The Buckeyes had a very impressive win in Madison, despite making a one-dimensional offense look pretty good. If they lose before The Game, I would be shocked. 5. BYU at Boise State (#11), THU 7:15PM ESPN – The Broncos need to be careful with BYU. The Cougars have had huge matchups every week, and every single one of them have been nail-biting. They won’t be afraid heading up to the blue turf. 4. Miami at Virginia Tech, THU 4:00PM ESPN – This is a huge game in the ACC Coastal. It could very well be the game that decides the division. Of course it is on a Thursday night, where crazy things happen each and every week. 3. Arkansas (#24) at Auburn, 3:00PM ESPN – This is not a game with real SEC title implications, but it is one of the more unpredictable and intriguing matchups of next weekend. The Razorbacks are absolutely the better team, but this game could go either way. 2. NC State at Louisville(#7), 9:00AM ABC – Does NC State have anything left in the tank after choking away a win in Clemson? We will see when they match up with an angry Louisville team with an early kickoff. 1. Texas A&M (#6) at Alabama (#1), 12:30PM CBS – A&M has given the Tide trouble in the past, as has QB Trevor Knight. I can see a potential close game here, but this isn’t where Bama loses. 5. Deshaun Watson, QB, Clemson – As long as they keep winning, he will remain in the running, even though this season is much less impressive than his campaign a year ago. 4. Donnel Pumphrey, RB, San Diego State – He is moving up the all time rushing list and just scorching teams for 200+ seemingly every week. 3. Jabrill Peppers, LB/S/CB, Michigan – Last week, he had a game statistically that will undoubtedly swoon voters. He is getting carries on offense now. 2. Jake Browning, QB, Washington – He is on pace to break the all time passing efficiency record in college football, currently held by Russell Wilson. 1. Lamar Jackson, QB, Louisville – He struggled this week with the rest of his team, but he made the plays down the stretch to seal it. He’s the obvious frontrunner. Who are your playoff teams? Heisman favorite? Let me know in the comments. The longest grind of the sports year has come to an end as game 162 was played in the baseball season. (Well, game 161 for four teams for a variety of reasons.) As always, the season was a wild ride, and now we gear up for some incredible postseason baseball where anything can happen. Let's stop and take a look at the season that was, how my preseason predictions fared, and what to expect from the Fall Classic. I knew the Red Sox would be back, but I didn't know just how good they would be or that David Ortiz would be historic in his final season. The Orioles constantly surprise as Buck Showalter proves once again to be one of the best managers in baseball. One of the biggest surprises of the season was Mark Trumbo leading the league in home runs. Toronto was able to sneak their way into the playoffs. I had predicted a division title for the Blue Jays, but some injuries held them back. At least my World Series prediction is still in tact! I knew the New York Yankees were taking steps back with Chapman being traded (BOLD PREDICTION FULFILLED) along with Miller, Teixeira retiring, and A-Rod being forced into retirement. What I didn't predict is how quickly the kids would come out and play like everyone expects Yankees to play. 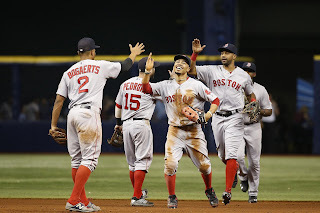 The Tampa Bay Rays didn't have much going for them entering the season, however they always seem to surprise. Not this year, as they found themselves in the cellar. I completely underestimated the Indians. Not only did the pitching dominate, but the offense was able to produce without Michael Brantley. The Tigers came up just short as they weren't eliminated until the last day. They are looking older and older. Their window might be closed. The Royals incredible run comes to an end in 2016 as injuries derailed their season over and over. The White Sox started hot but quickly faded to the back of the division. Robin Ventura leaving (BOLD PREDICTION FULFILLED) might be a sign of the rebuilding that should have started several years ago. The Twins were the biggest disappointment of the season as they almost made the playoffs in 2015 only end the season as the only team with 100 losses. 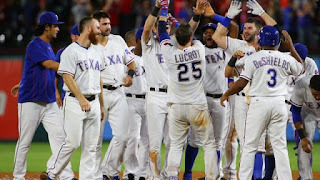 I had the Rangers in the playoffs as a Wild Card, but they showed that last year was no fluke as they dominated the division once again. The Mariners surprised as they took their rebuilt roster to the doorstep of the playoffs. Coming up short extends the Mariners' streak without a playoff berth to 15 seasons, the longest active streak in baseball. The Astros had a bit of a regression this season after a surprising postseason run last year. Watch for them to come storming back in 2017. The Angels still have the best player in the world, but they are wasting his prime years as they have no support for him. Oakland ended the year in full rebuild mode, getting rid of most of their Opening Day roster (BOLD PREDICTION FULFILLED). 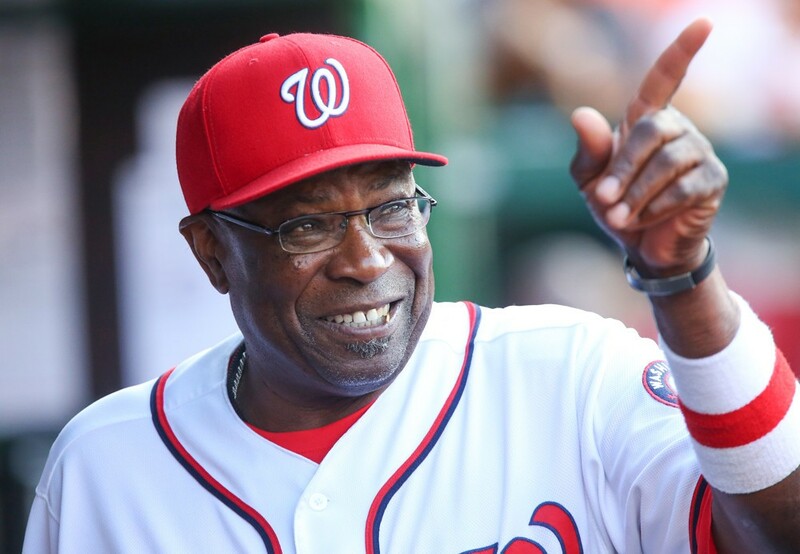 I knew Dusty Baker would be a difference maker for the Nationals, however I didn't know he would be this much of a difference maker. He turned this team back into an elite squad in one year. The Mets somehow made it back into the playoffs even though their insane pitching rotation is a mess. The Marlins had a positive season pointing in the right direction for the future until this last week. The sudden and tragic passing of superstar Jose Fernandez not only came to define their season, but it has the potential to define every season for the next decade as his absence will be felt for years to come. (Next year's All Star Game in Miami will be tough without #16 there...) The Phillies seem to be progressing well in their rebuild as it looks like they might be an impact team sooner than was expected. The Braves started about as bad as possible, however they ended the season on a positive note and should be riding some good momentum into their new SunTrust Park in 2017. I knew the Cubs were going to be good. I had no idea they were going to be this good. I correctly predicted that the Cardinals were finally going to miss the playoffs. They just needed too many pieces to fall into place. The Pirates were disappointing this season and are now talking about entertaining trade offers for superstar Andrew McCutchen. The Brewers are in rebuild mode after trading Jonathan Lucroy to the Rangers (BOLD PREDICTION FULFILLED). The Reds are stuck somewhere between rebuilding and being stuck with big veteran contracts. They might not have bottomed out yet. 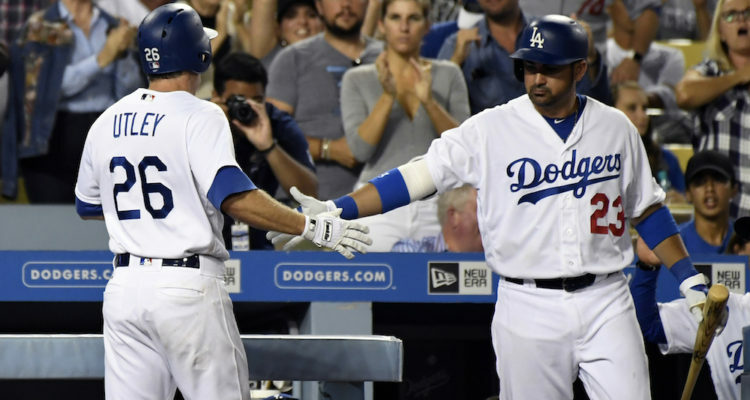 The Dodgers impressed this season under rookie manager Dave Roberts. 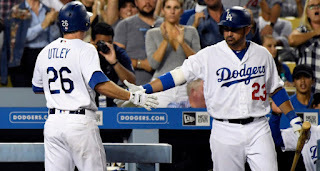 Even with an extended injury to Clayton Kershaw, the Dodgers dominated. (I was so close on my prediction with the Dodgers, but no one wanted Yasiel Puig so he wasn't traded.) I had the Giants winning the division, which they might have done if they didn't go through one of the most inexplicable second half collapses in recent memory. They still snuck in to the postseason though so watch out. The Rockies are showing they are very close to being a contender in this division. (Again, SO close on my prediction, but they chose to keep CarGo.) The Diamondbacks proved that their season was over before it started when AJ Pollock went down the weekend before Opening Day. It also didn't help to have disappointing seasons from their two biggest offseason acquisitions: Zack Greinke and Shelby Miller. The Padres are trying to be relevant, but their front office is proving to be a little inadequate. Showalter seems to do more with less every season. John Farrell turned around the Red Sox with aging superstars, a resurgence of Hanley Ramirez at first base, and Pablo Sandoval spending the whole season on the DL. 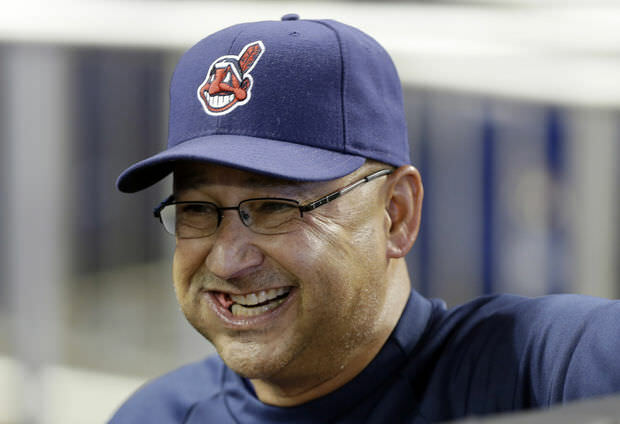 However, nothing beats what Terry Francona has done in Cleveland. He is one of the best coaches of the 21st century. Joe Maddon might end up winning this as he somehow exceeded the highest expectations on any team in recent memory. Rookie manager Dave Roberts took a dumpster fire in the Dodgers and won the division despite having a piecemeal starting rotation all season. However, Dusty Baker showed that old school baseball people still have a place in the new school of sabermetrics. His work with the Nationals was incredible this season. The Blue Jays had several pitchers step up and have career years. JA Happ returned to Toronto and won 20 games, a rare feat in today's game. 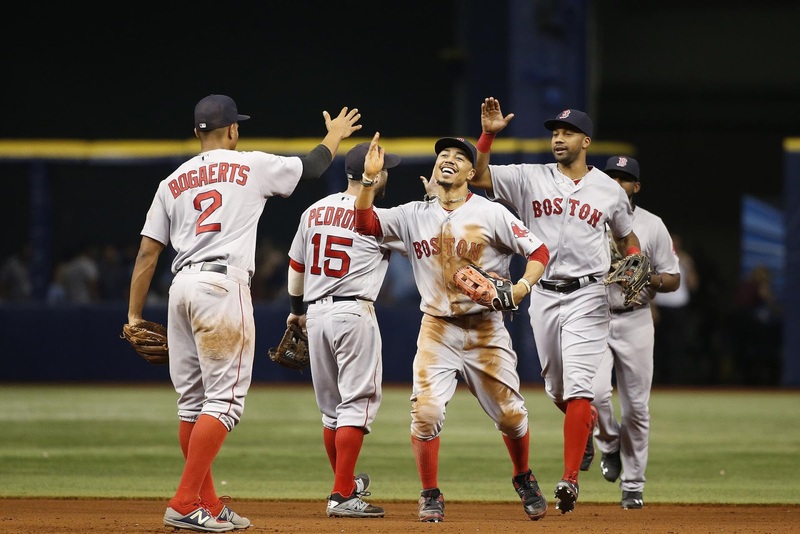 Boston's Rick Porcello finally seemed to put everything together as he led the league in wins with 22. 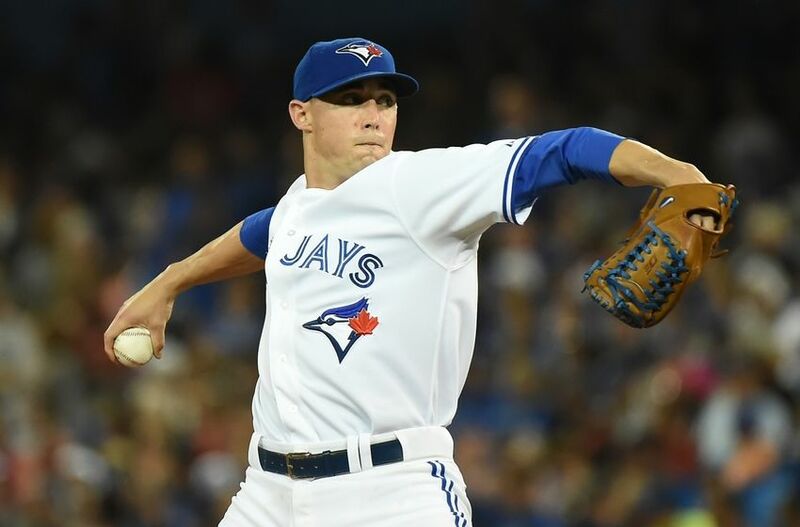 However, Aaron Sanchez was the most impressive pitcher in the AL this season. Toronto's young ace was even held back due to an innings limit, but still posted some impressive numbers. Jon Lester showed that he is still the elite starter he was in Boston. He definitely had more in the tank than many gave him credit for. 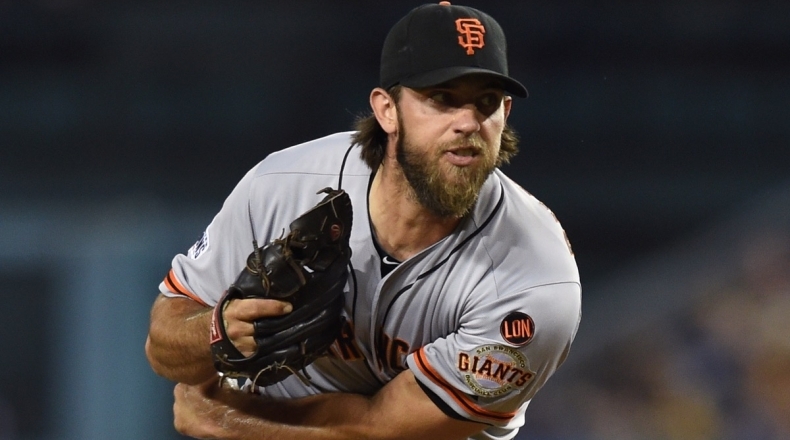 Madison Bumgarner once again had an elite season, which makes many teams nervous as they enter the postseason. However, for the second year in a row, the best pitcher in the National League is a Cubs pitchers nobody knew before the season. 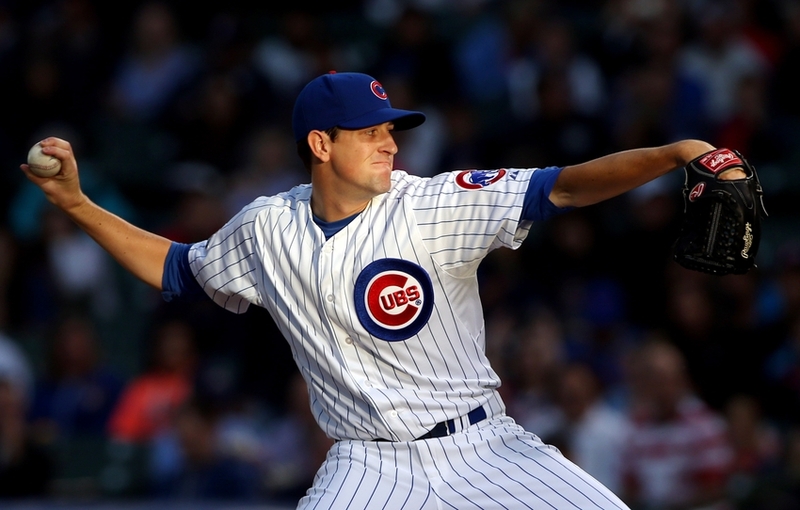 Kyle Hendricks had an unbelievable year that overshadowed what Lester did as well as last year's Cy Young winner, Jake Arrieta. Robinson Cano went from the most disappointing season of his career in 2015 to career highs in many stats in 2016. He kept coming up big in the right spots, playing his best baseball in September while his team tried to make the postseason. The best player on the planet, no matter how bad his team is, is still Mike Trout. He just keeps getting better. 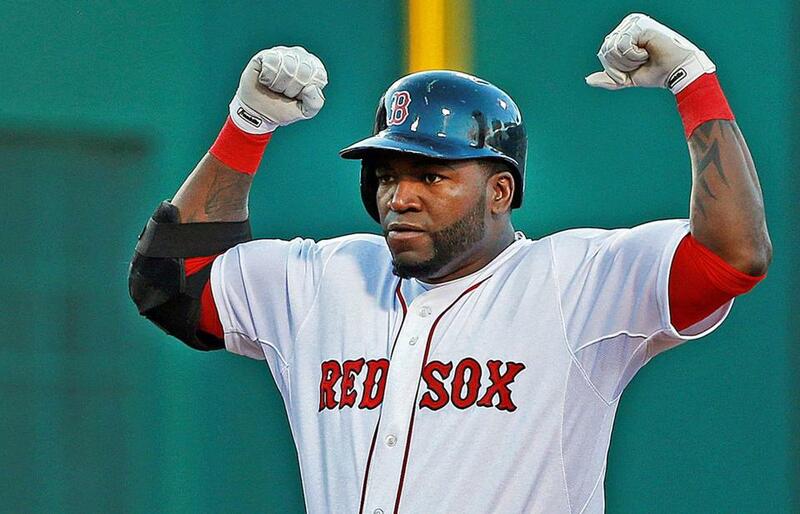 However, this season belonged to David Ortiz. He played his best when it was his last. Look for him to try and be the first DH to win MVP. One of these days, Nolan Arenado will be recognized for how great he really is. He led the league in home runs and RBI's this season while playing Gold Glove caliber third base. Daniel Murphy followed up his amazing postseason last year with an MVP caliber season this year for the Nationals. However, when in doubt, the MVP is the best player on the best team. 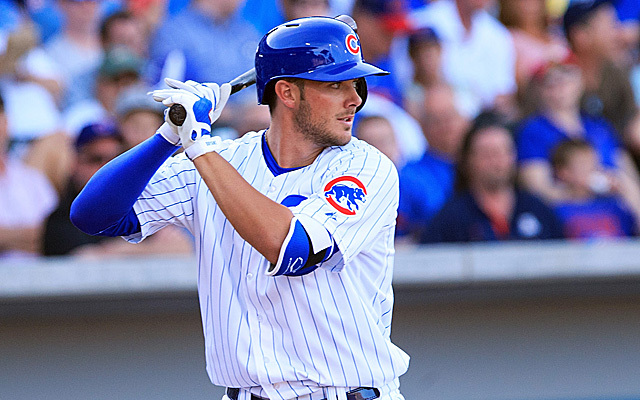 The Cubs were by far the best team, and Kris Bryant was by far their best player. Look for him to win the award in his sophomore season. The Blue Jays have waited all season to get back in this position after 2015's postseason. The game is in Toronto, which is one of the craziest venues in all of baseball. Toronto will win. 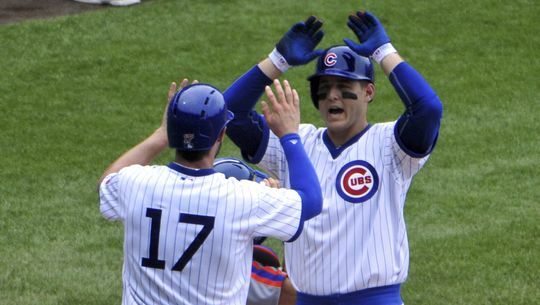 The NL Wild Card game will be a classic. Noah Syndergaard, the only healthy ace for the Mets, is on the mound against the possibly the best postseason pitcher of all time in Madison Bumgarner. Look for the Mets to be MadBummed. The first matchup is an epic rematch from last year. There is no way the Blue Jays let the Rangers beat them again. 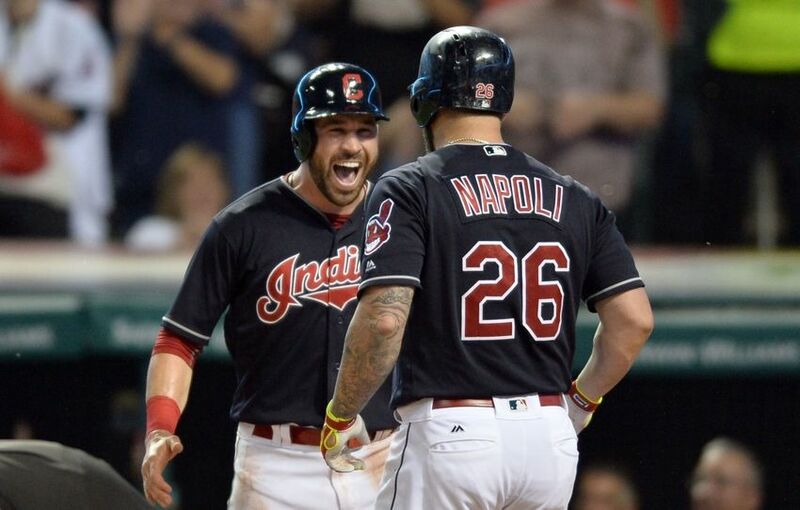 The Red Sox just have too much firepower for an injury-plagued Indians team. 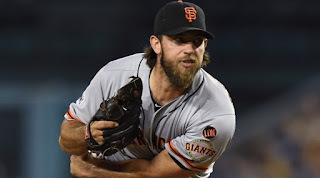 The Cubs are the team everyone is looking to as the favorite, but the Giants have been there before many times and feature the rotation with the proven pedigree. I said in my preseason predictions that the Cubs would dominate the regular season, but their pitching would run out of steam in the playoffs. I'm holding to it. 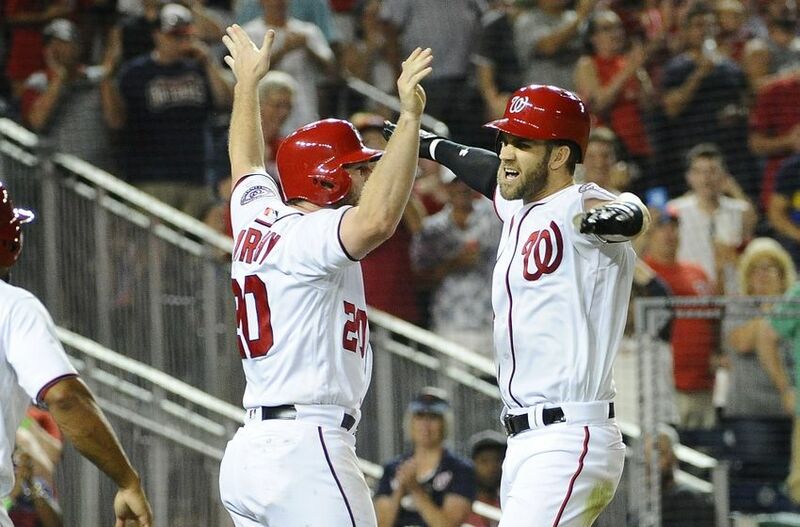 The most intriguing matchup might be the Nats and the Dodgers. Both teams finally played how everyone thought they could. I give the edge to the team with the more experienced manager. The storybook ending for David Ortiz would be to go out on top with a ring. However, I really think this is the right time for the Blue Jays. Their pitching is outstanding with Happ, Sanchez, and Marcus Stroman. They might have the best lineup in the league. It would be an upset, but I think it's time for the Blue Jays to get back to the World Series. In the National League, it's Dusty Baker's Nationals going up against his former team in the Giants. Bumgarner, Cueto, and Samardzija can shut down any lineup. They know how to peak in the playoffs, and I don't see anything different happening this time around. Why not go with my original prediction! I predicted Giants over Blue Jays back before the season started, and I am going to stick to my guns. After all, it is an even numbered year. Besides that, the Giants just know how to get it done in the playoffs. It will be a fun series, but look for a similar result to what we are used to seeing.